Length: 1 hrs. 1 min. From the unique perspective of first-hand experience, Phillip Keller presents a lively, fascinating devotional commentary on one of the best-loved Bible passages. Equipped with a shepherd's experience and insight, Mr. Keller leads and prods the reader to the greenest pastures of discovery and coolest waters of fulfillment hidden in the rewards for those willing to follow his careful leading. 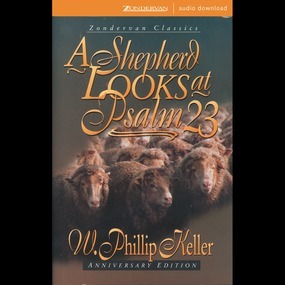 Experience Psalm 23 in a new way: see with the Shepherd's eyes, touch with His hands, feel with His heart through this intimate look into the full life of our Lord -- the Great Shepherd.